Elmo Montegrappa Italian company known worldwide for the production of fountain and ballpoint pens and mechanical pencils. Mark the beginning of its activities in 1912. 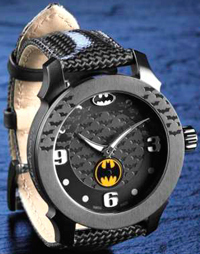 Today, the Italian company is a new limited edition collection, which focuses on Batman. 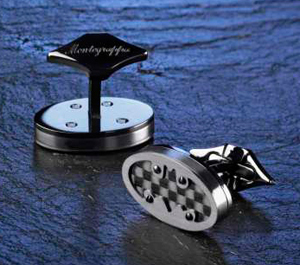 The line includes Montegrappa Batman writing instruments, cufflinks and watches. Original model Montegrappa Batman, presented in a circular housing with a diameter of 42 mm in stainless steel with black PVD coating, decorated with a pattern of bats. The image of a bat is present instead of the mark “12 o’clock”, in the central part of the dial and on the back of the watch. On the side of the engraved brand Montegrappa. Delivered new to the carbon fiber strap with a buckle with black PVD coating. The new collection also includes 1939 Montegrappa fountain pens and 1939 roller balls. The first 500 pens are available in a set, which includes cufflinks and watches. Handles with a number from 501 to 1939 can be purchased separately. Limited collection Montegrappa Batman presented in a box that is decorated on the front side silhouettes of bats in flight, and inside – view of the night city of Gotham. Which country does the best chocolate?